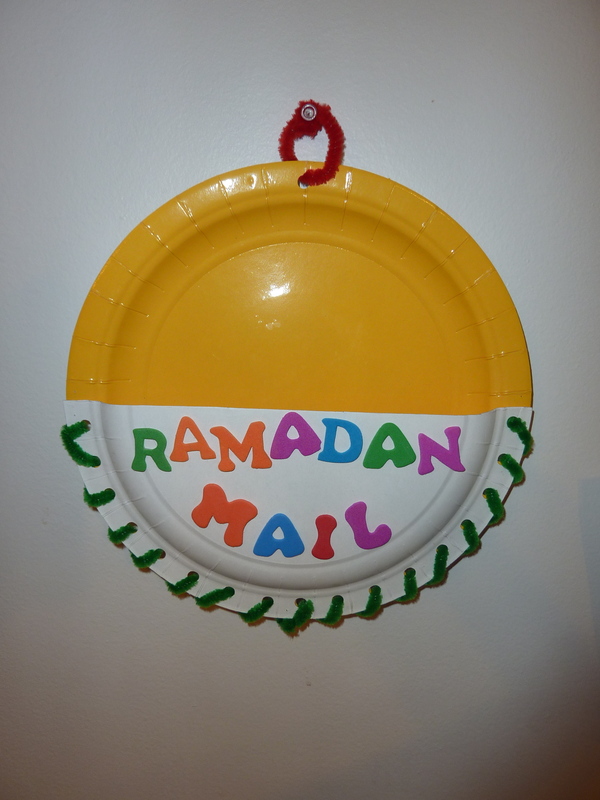 We wanted a mailbox for our Ramadan Bulletin Area. As soon as I mentioned it, DS1 was of with a cereal box and some art supply and he made one. Sadly the location we had planned to put the mailbox was on a wall where the door opens to. We had to make something a little flatter. This is what we made. Insya-Allah this is an easy project. 2 paper plates, pipe cleaners, hole puncher and my favourite craft item – foam letters :)! 1. Cut on of the paper plates into half. 2. 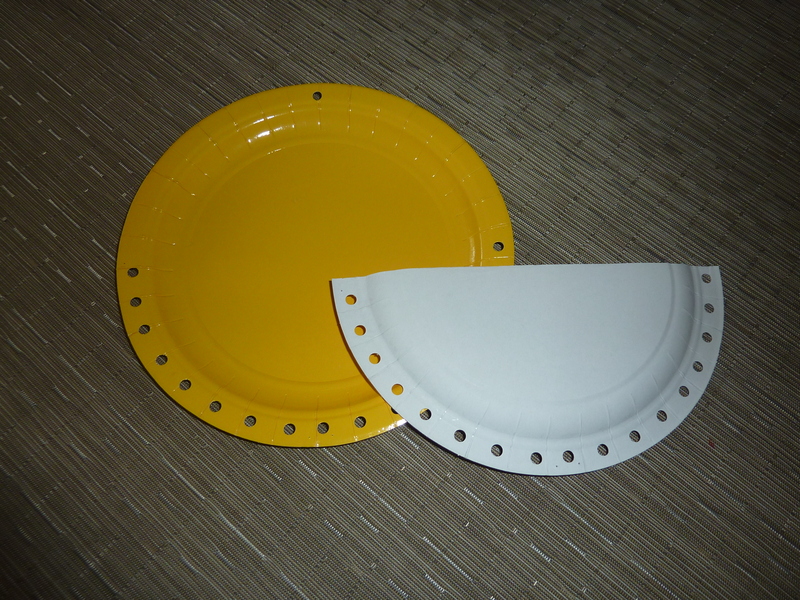 Put the halved paper plate wrong side up on the first paper plate. Align them to create a pouch. Hole punch (both together) around the bottom half. 3. 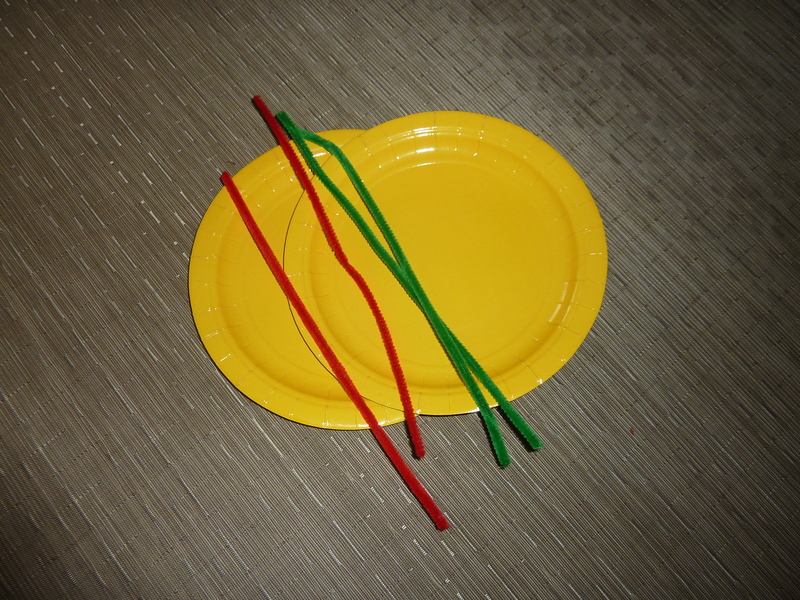 Insya-Allah ask child to thread pipe cleaners to attached the two pieces of paper plates together. 4. Decorate with foam letter, stickers or anything else that your child likes. You can visit Umm Nu’man’s blog for more ideas on Mailbox craft Insya-Allah. Alhamdulillah that you liked our Ramadan crafts. Jazakillah for featuring our work here for the benefit of others. May Allah rewarad you.